Bosch is a leading name in quality washers and dryers, and with its Nexxt 500 Plus line of machines, doing the laundry is one slick and easy process that can be done in no time. It offers the most innovative and easy to use machines to aid homeowners and other individuals with their modern living needs. Washers and dryers are just a few of the top-of-the-line appliances produced by Bosch, which are well-known for strength, precision, and usefulness. Most consumers love the quiet performance of the Bosch Nexxt 500 Plus WFMC5301UC. It is energy efficient and has low water usage. With its sleek design, it looks pretty and modern. It can be quite inconvenient to install. This washer is a bit expensive. The Bosch Nexxt 500 Plus WFMC5301UC model is an exceptional washing machine that outperforms machines from other brands. In its quiet performance lies the most superb cleaning action that effectively does the laundry while taking good care of the fabric. Bosch's research and development have finally come up with a solution that's not only effective but also environment-friendly. What makes the Bosch Nexxt 500 Plus WFMC5301UC a unique model are the many innovative features put in one package. It does so much more than just washing clothes, as its many cycles can take care of tough stains of varying degree. Take for example its XXTRASANITARY Cycle. Users can choose this certain cycle if they want to sanitize their sheets or clothes as it heats up the water up to 170°F. This not only gets rid of stubborn stains but also kills germs and bacteria that can cause infection or irritation to the skin. After maintaining this temperature for three minutes to make sure that most common bacteria are killed, the built-in thermostat then cools down the water to 150°F so as not to damage the fabric. Tougher stains from kiddie activities such as chocolate and juice spills and even wayward paint splatters can be taken care of with the KIDSCARE Cycle. This certain cycle can warm up the water to 150°F in order to take out the toughest stains without damaging the colors of kids' clothing. A safe and securely locked front opening seals off the hot water so anyone won't get sloshed with hot water from the washer. All that's needed to do is to dunk the clothes in the washer and set to Quick Wash 25 Cycle to have enough time for others thing such as eating breakfast or washing the dishes. Though it only takes 25 minutes to do the laundry, there's always this clean and sanitized feel to the clothes. One doesn't even have to wait till the weekend to do the laundry in one big batch. With the Bosch Nexxt 500 Plus WFMC5301UC, the laundry can be done in batches during weeknights. The Jeans Cycle also takes care of the common denim worries. This feature is has a specific setting that allows the denim clothing to be washed just right. fabric in the clothing. For instance, the best way to sanitize the sheets is by running it in the XXTRASANITARY Cycle that effectively kills off the germs and other common bacteria. Almost everybody has a favorite pair of jeans that's worth keeping for long. The jeans can be washed more thoroughly using the Jean Cycle, which regulates water temperature and the washing process so that colors won't bleed and run. The Bosch Nexxt 500 Plus WFMC5301UC washer is a nice machine to work with as it operates quietly to only up to 52 db quiet performance, making it one of the best household workers. It also doesn't skip or move when the washer's on high so users won't have to deal with spilled detergents or leaks. The spinning power is also very fast, up to 1,100 rpm to effectively wring out the water, making it faster to dry in the dryer and let saving time and money easier. Since Bosch washers are shipped from Germany, these come with bolts to keep things safe and secure during transportation. However, owners should remember to remove these 5-inch bolts during installation and before use so the Bosch washing machine won't skip across the floor and spew out detergent and water. 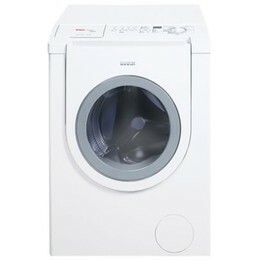 The Bosch Nexxt 500 Plus WFMC5301UC can be a bit costly for a washing machine but is definitely a good value for money. Computing importation costs and the money one has to save from repairs, water and electrical bills, and even detergent use, the Bosch Nexxt 500 Plus WFMC5301UC surely is an ideal washer. Now, I am stuck with a broken machine!!!!!! NEXXT 500plus Series. I have a problem with this washer not doing a full spin and leaving the clothes very wet. They need another spin to drain the water out. I had a repairman out who knew how to make this machine cycle into just the spin cycle, but would not show me how to do this. He informed me that he had gone to school on this machine and knew how to make the machine do lots of things. I phoned Bosch and requested this information. I was informed that this machine wasn't suspose to have this procedure. I informed them that the tech who came out was able to do this, but they would give me the necessary steps to go into the spin cycle. Anyone know how to do this? I just purchased this Bosch WFMC5301UC front load two weeks ago. we moved to the country where we have to haul water from a town with municipal water. This machine replaced a Kenmore top load. This machine only uses about 9 gallons of water as opposed to 60 gallons with the top loader which saves tons on water. Plus I can wash 2 top-load loads worth in 1 front-load! Since we have to haul water I knew that I needed a front load and this also provided me with the excuse to buy a front load machine. I have wanted one ever since they came out and i've been waiting for the prices to come down. I did quite a bit of research to get the best machine. I am so glad I chose this unit. everyone that has a front load machine talks about how noisy they can be when in the spin cycle. not this machine. As a matter of fact it is scary quiet in all cycles! In the wash cycle all you hear is the water sloshing, not so much as a motor hum. Owners also talk about how much better the front load machines clean clothes. I did a load of whites and they were really bright, so much so that I had to squint while hanging them out on the clothes line to dry. My bath towels look much nicer now than before. This machine does a much better job rinsing the dirty water from the clothes allowing the colors to be more lively. My Bosch is THE ONLY machine for me. If this one gives out I will definitely get another Bosch.